Mr. Shrader’s 2015-2016 season began with performances of Alfredo in La Traviata with Opera Philadelphia, followed by a return to the San Francisco Opera to sing David in Wagner’s Die Meistersinger von Nürnberg. Later in the season he sang Count Almaviva in Il Barbiere di Siviglia at Baltimore Lyric Opera and Tom Rakewell in Stravinsky’s The Rake’s Progress with the Pittsburgh Opera. Highlights of the 2010⁄11 season include the title role in Berstein’s, Candide in concert performances with the Los Angeles Philharmonic Orchestra, Egeo in Medea in Corinto, Belmonte in Die Entfuehrung aus dem Serail and Tamino in Die Zauberflöte at the Bavarian State Opera. On the concert stage, he gave a recital in Santiago, Spain and made his Wigmore Hall Recital debut with pianist Roger Vignoles. Mr. Shrader also appeared as Lindoro in L’Italiana in Algeri with Opera National de Bordeaux and as Almaviva in Il Barbiere di Siviglia with Theatre du Capitole de Toulouse. He closed the season at the Salzburg Festival, where he debuted as Ferrando in Cosi fan Tutte. Highly acclaimed by the San Francisco press as a recitalist who is “natural and effortless, so different from just about everybody else”, Alek Shrader was featured in two ‘On Wings of Song’ recitals in the spring of the 2009⁄2010 season; at the Music Academy of the West in Santa Barbara and also at Santa Monica College for the Performing Arts (Broad Stage), both sponsored by The Marilyn Horne Foundation. Concert appearances this season included Messiah with the Cleveland Orchestra and the Mozart Requiem with the Pittsburgh Symphony and St. Louis Symphony. 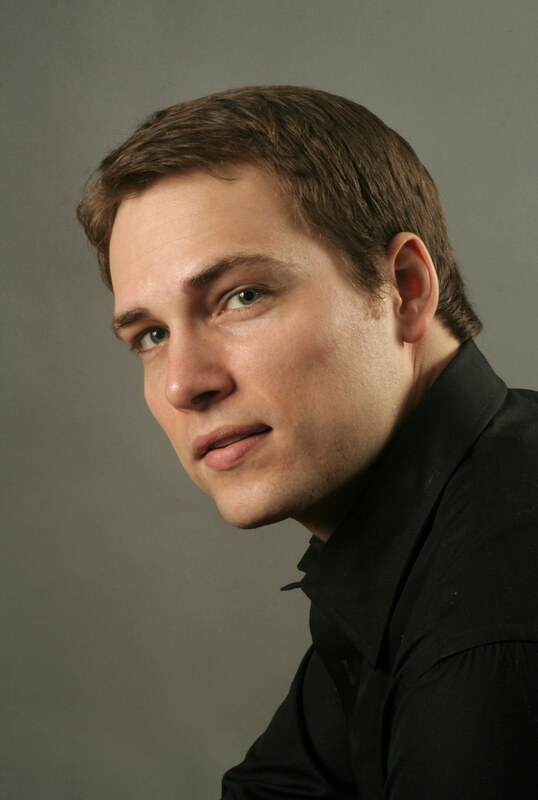 Mr. Shrader, a former Adler Fellow with the San Francisco Opera, made a spectacular mainstage debut in the San Francisco 2008⁄2009 season, replacing an indisposed Ramon Vargas as Nemorino in two performances of L’Elisir d’Amore. Additional performances with the San Francisco Opera have included Korngold’s, Die Tote Stadt, the role of Arbace in Mozart’s Idomeneo, and Nemorino in student performances of L’Elisir d’Amore. Other opera highlights have included Almaviva in Opera Cleveland’s production of Il Barbiere di Siviglia and Il Re Pastore with Opera Theatre of St. Louis. He was also a featured soloist in the 2009 Metropolitan Opera Concert in the Park series. Alek Shrader made his professional debut as Almaviva in Rossini’s Il Barbiere di Siviglia at the Opera Theater of St. Louis, where he had spent the previous two summers as a young artist. He has appeared in Rossini’s Il Signor Bruschino with the Gotham Chamber Opera, in William Bolcom’s A Wedding at the Music Academy of the West, and participated in Renata Scotto’s Accademia Nazionale di Santa Cecilia Opera Studio. Shrader’s roles in previous seasons have included the title role in Le Comte Ory, Fenton in Die lustigen Weiber von Windsor, Tony in Bernstein’s West Side Story, and Ramiro in Rossini’s La Cenerentola.